Things can appear differently when looking on a screen. It is always best to see things first hand. 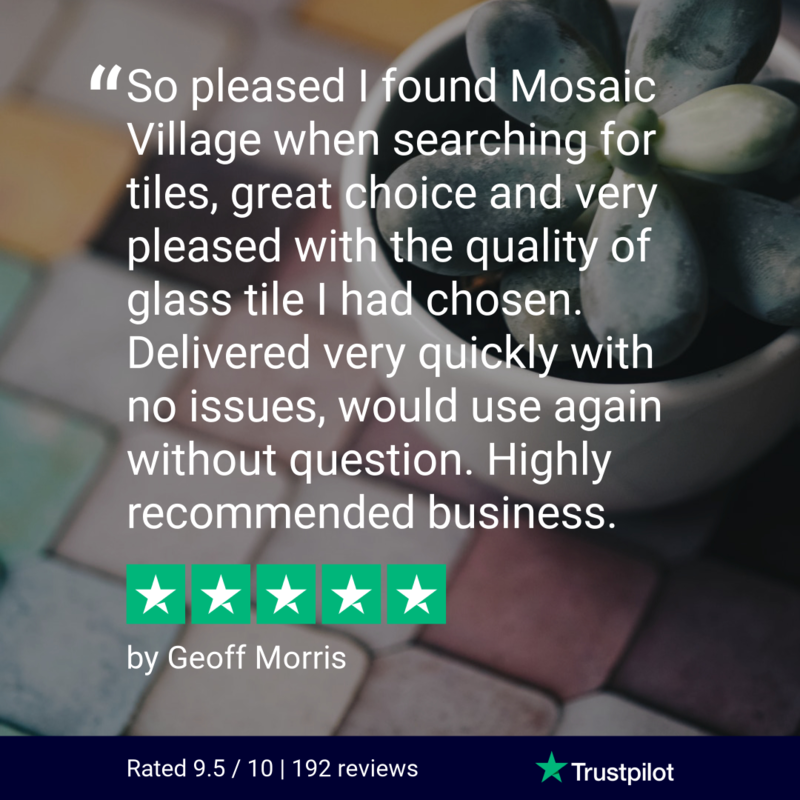 We actively encourage you to place an order for samples before purchasing a quantity of mosaic tiles. We want you to be sure that you have made an informed choice. All our product samples are easy to order. Simply look for the blue ‘Sample’ button on the required product page. We can only supply 1 sample per range. We offer all our customers FREE postage on up to 5 samples. There will be however a small charge for the sample pieces themselves. If your sample order is placed on a weekday before 12pm we will dispatch the same day via first class post. Typically arriving with you the next day. Once you have your samples in your hand feel free to get in touch where we will always have someone available to give you advice and discuss any queries you may have about our products or services.